The King Lives! Long Live the King! Sunday, November 20th, 2016 will be the Solemnity of Our Lord Jesus Christ, King of the Universe and Living Face of the Father’s Mercy. The Jubilee Year of Mercy will be at an end. 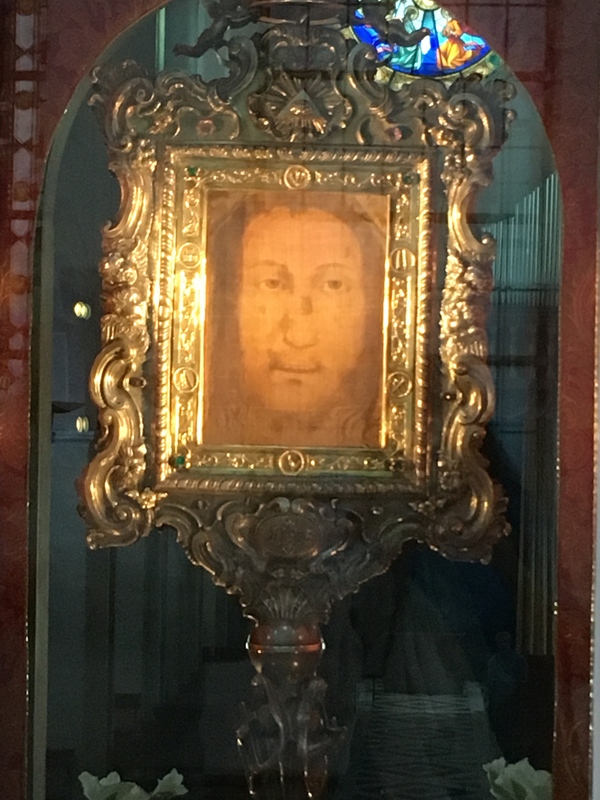 I would be remiss if I didn’t express gratitude to God for this Year of Mercy and most especially for His incredible, miraculous gift of His Holy Face on the Veil of Manoppello–the Face of all faces–the Face of the Mercy of God! Look at His Face! 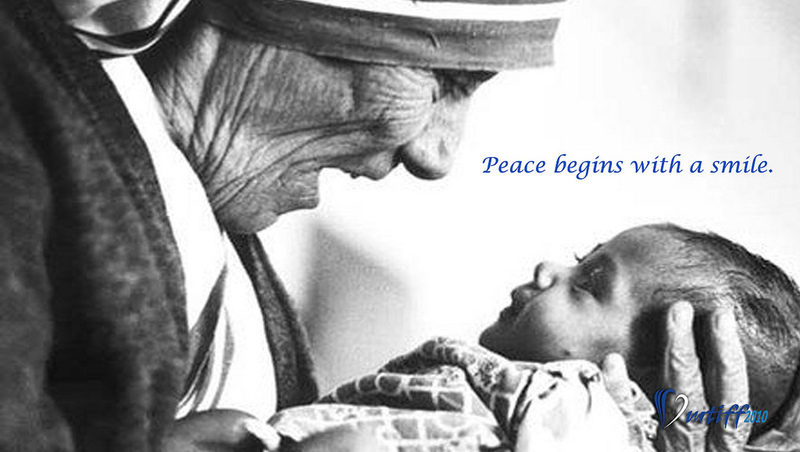 Look at those eyes filled with mercy and peace! It has been said that His eyes look both like a lion’s and a lamb’s. This has been a very turbulent year in the world, and the next may become even more turbulent, as the enemies of Christianity wage war against the followers of Christ. It is all the more necessary that we keep our eyes fixed on the Face of the King and the Lamb. 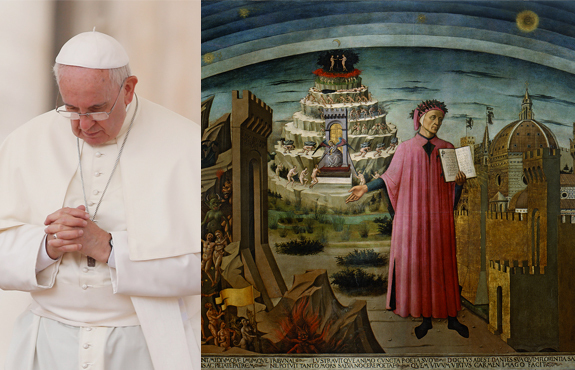 In 2017, it will be 500 years since in the West the Lutheran brothers and sisters began to separate themselves from the Pope and from the Roman Catholic Church. However, even older than the Reformation and the division of the Western Church is the Great Schism of the East, and the division of Christianity into the Church of the East and the Roman Catholic Church in the West, which occurred in 1054 between Rome and Constantinople. Only on December 7, 1965 Pope Paul VI from Rome and the Ecumenical Patriarch Athenagoras from Istanbul solemnly cancelled the reciprocal anathemas “from the memory and from the center of the Church” “abandoning them to oblivion.” But the Eastern Church and the Western Church remained estranged, above all from the cultural point of view. Now, however, at the invitation of Archbishop Bruno Forte of Chieti-Vasto, on September 18, 2016, seventy Orthodox bishops celebrated the “Divine Liturgy” of Saint John Chrysostom under the Face of Christ, there exposed above the principal altar, together with two cardinals and numerous other prelates of the Roman Catholic Church in the Basilica of the Holy Face of Manoppello. 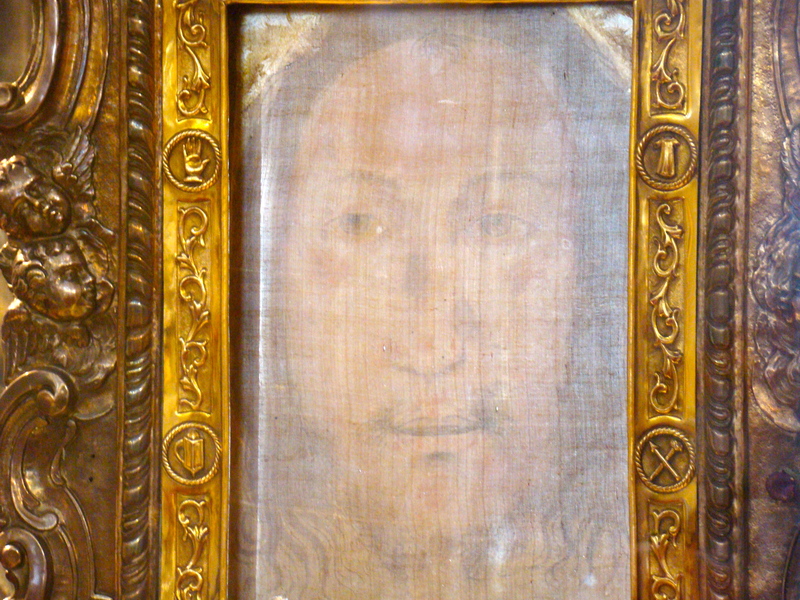 CNA: Lord Cardinal, Archbishop Bruno Forte calls the “Holy Face” of Christ “the polar star of Christianity.” For him, there is no reasonable cause to doubt that the image on the veil is the sudario of Christ that John cites in the Holy Sepulchre near the burial clothes. But is it not also a provocation for the Orthodox brothers? 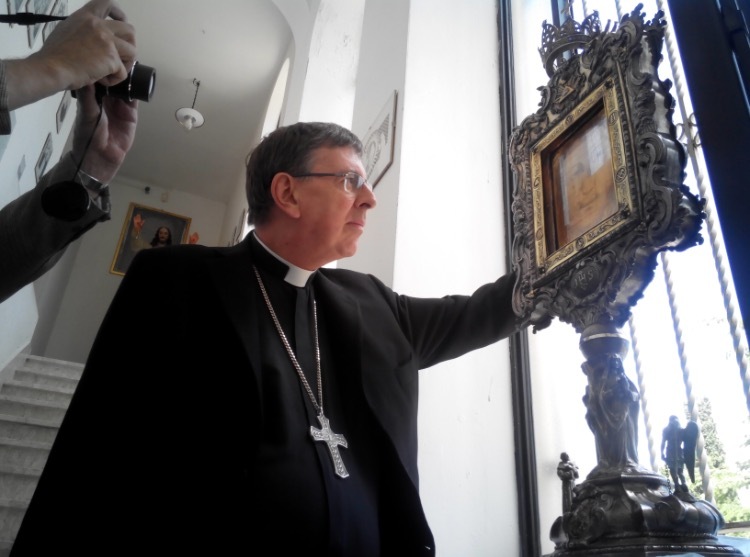 Cardinal Koch: Christians believe in one God who showed his concrete face in Jesus Christ. When we know more closely the Face of Christ and when we more deeply identify ourselves with him, the more deeply we become one, as well. 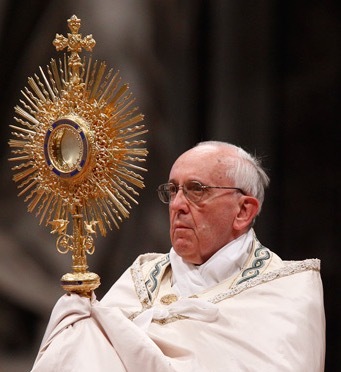 For this is a miraculous event to be in front of the Face of Christ, to pray, to venerate the Face, because it fulfills his [Christ’s] desire that we be one. Catholics have something to bring to the Orthodox. Also for the Orthodox it is so, as for instance for their culture of the veneration of icons. Could it be that from this day forward also in the Catholic Church the images can come to be understood and evaluated in a new way – in the midst of that mighty “Iconic Turn” that the experts of communication today note, in which the images expect a general role in communications like never before? Yes, the very profound mystery of ecumenism is an exchange of gifts. Today the Church has her gifts. And a particular gift the Orthodox have are the icons. So I think that also many Christians in the West can find a new access to the icons and thus deepening the faith. It is a great gift. It is very important that we also re-evaluate the images in the Western tradition. With the Reform of the sixteenth century, we have placed a whole new accent on the word. But the Word has become flesh, the Word became visible, so also the images belong to the faith. This is a gift from the Orthodox that we welcome gratefully. 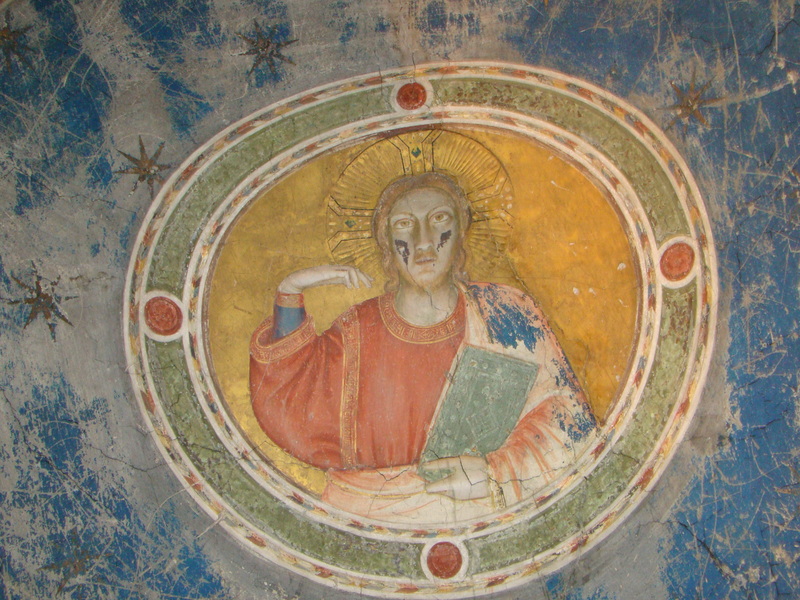 At Chieti, in these recent days the delicate question of the theological and ecclesiological relations between primacy and synodality in the life of the Church, then the role of Peter and that of all bishops, was discussed within the commission that has come on pilgrimage to Manoppello. 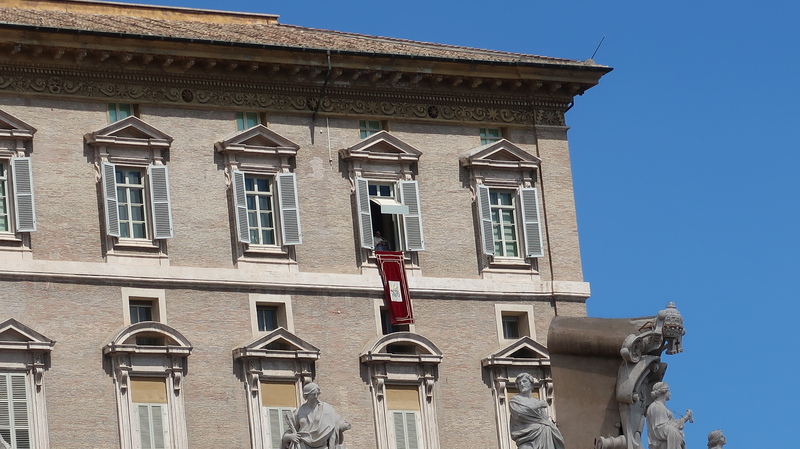 Ten years ago Peter came here in the vesture of Pope Benedict. Since then, there has been an enormous turning point in the evaluation of this image of Manoppello that has become famous throughout the world. What significance do you think will be given to this day of pilgrimage, in which the synod of bishops gathered here? It is very beautiful that we could come here on this anniversary ten years later. Pope Benedict came in the name of the whole Catholic Church. Today is present here the Church of the East and of the West. So this anniversary maybe can also help in the search for the unity between the Church in the East and the Church in the West. You, as president of the Pontifical Council for the Promotion of Christian Unity, are responsible to Rome for ecumenism. 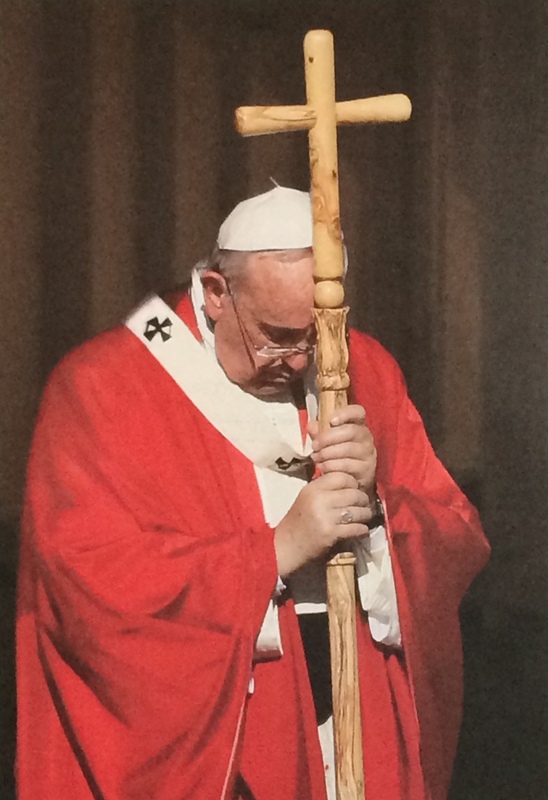 In this regard, Pope Francis affirmed: “Look at Christ and go ahead with courage!” Which next step would indicate to you today to go with courage to encounter Christ, in a day in which notwithstanding the difference between the Eastern Church and the Western Church you have come together before this image? In reality, we are always on the way towards Christ. Because it is His Will that we find unity, it is not a human project. Christ himself on the eve of His Passion prayed that His disciples might be one, that the world might believe. The credibility of this testimony depends on the fact that we are one. This is also a particular request of Pope Francis, when he says that when we can walk on the same road toward Christ, then we find unity. “Misericordiae Vultus”: with these first Latin words begins the Bull of Indiction with which Pope Francis announced this year of the Jubilee of Mercy. The “Face of Mercy” has given to this year a very particular meaning. 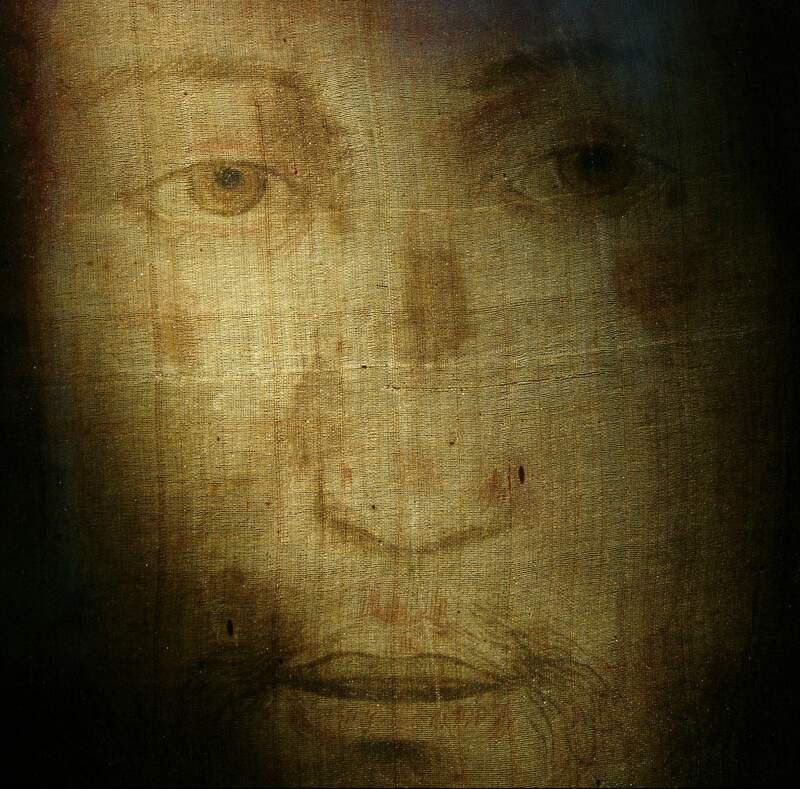 What do you sense today being here before the merciful gaze of Jesus, who looks at us from this wonderful veil? It is a magnificent message that we can have a merciful God, for which we know that there are no cases without hope. Per as long as a man can fall down, he can never fall lower than the hands of God. Now you can really see this face, encounter it, it is naturally a marvelous deepening of this message of the Holy Year. The men of today need nothing more than the mercy of God. And if they can look on the Face of the merciful God it is a marvelous gift. And what will you tell Pope Francis about this event in case you will have the opportunity? I will certainly tell him that we saw in the Face his great message of the mercy of God. And that this Face is important for the whole Church. It is in a certain way the manifesto of the Church: the merciful Face of God! 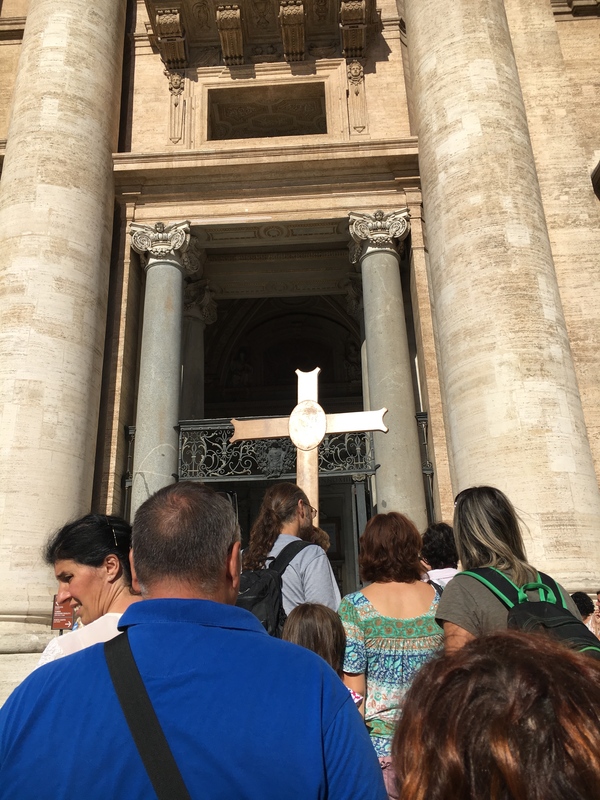 The final stop of our pilgrimage was Rome and to enter the Holy Door of St. Peter’s Basilica on the Feast of the Assumption. 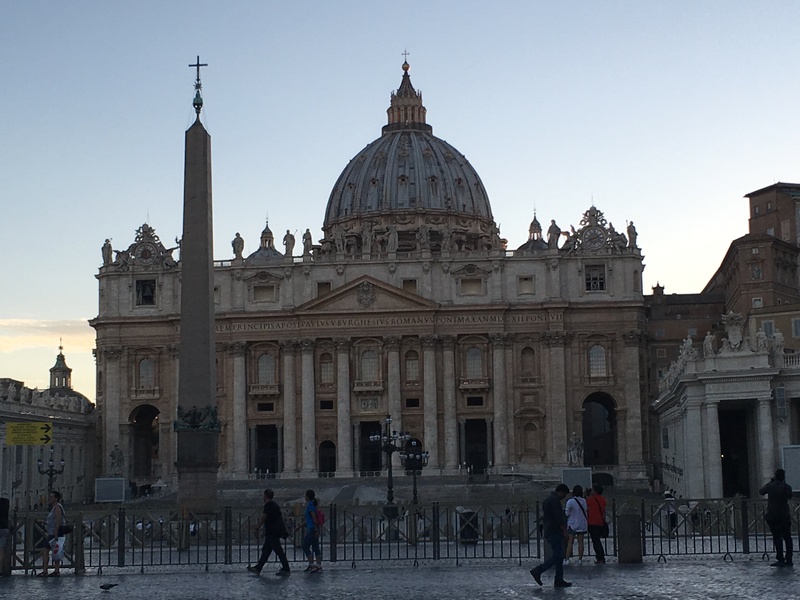 Most pilgrims to Italy begin their pilgrimage in Rome, but there was a reason that I chose St. Peter’s for the final destination of our pilgrimage and it had to do with the pope. Sometimes our motivation for doing things isn’t always clear, not even to ourselves. It was upon reflection, in hindsight, that I understood why the order of the pilgrimage and also why seeing the Holy Father last, was so important to me. 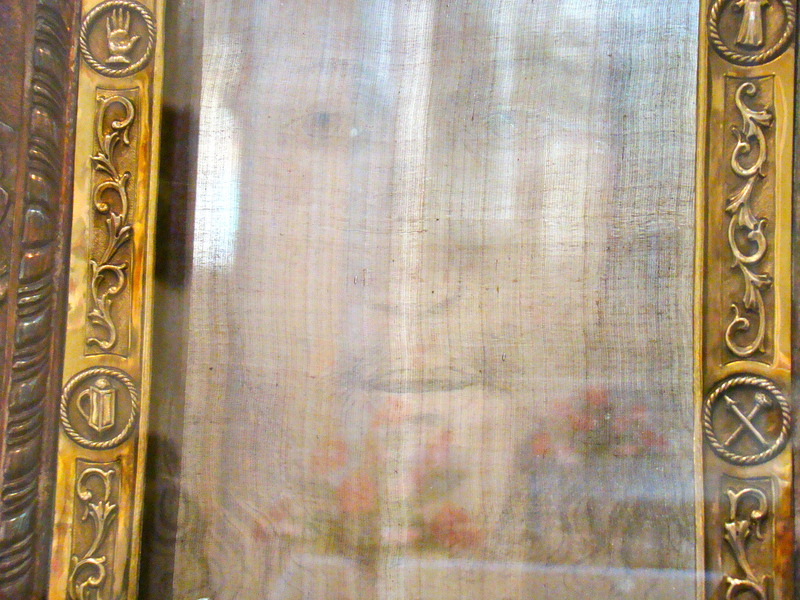 Looking back on our pilgrimage for the Jubilee Year of Mercy, we began with the image of the Face of Jesus in the Veil of Manoppello. The bible tells us that there is only one mediator between God and man–Jesus Christ. 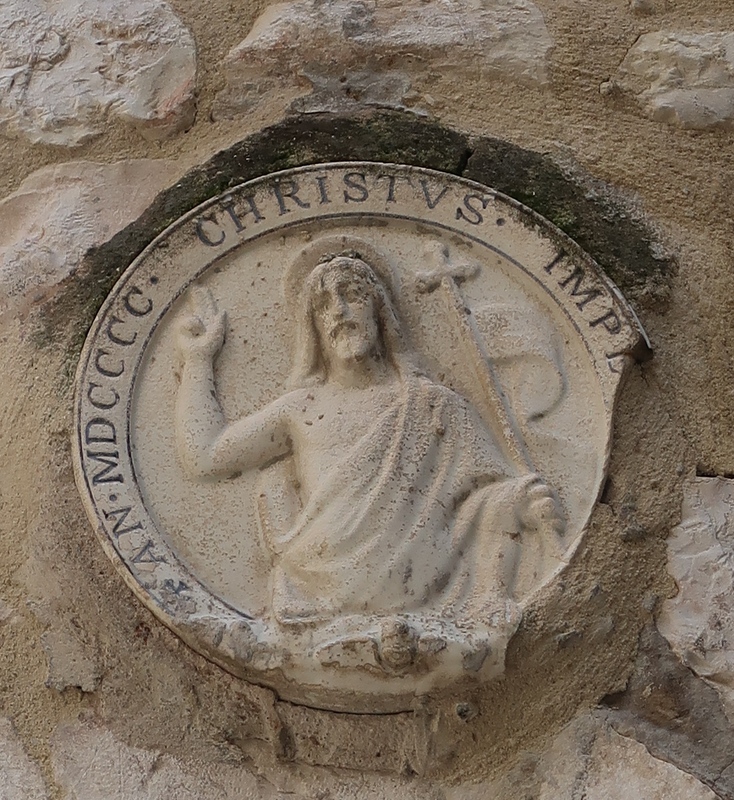 (1 Tim 2:5) The Face of Jesus Christ is like a Door of Mercy–the face of the Church, through which we reach the Father. 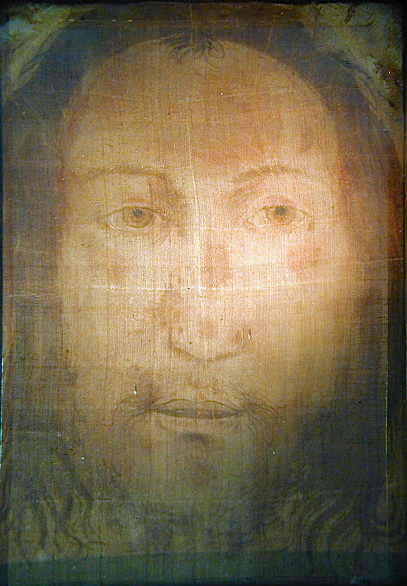 We enter this “door” through devotion to the Holy Face through prayers and contemplation of the wounded Face of Jesus; by discipleship, to see Jesus in the Face of our neighbors, in the poor, the sick and the suffering; and through the Eucharistic Face of Jesus, from which we draw the grace and strength needed for our journey. Then our faces, too, become like a “door” to our hearts and souls, and can radiate the Face of Jesus, the Face of Mercy to others. Therefore, the “door” of the Face of Jesus was the best place for us to begin, the start of the journey. After the sanctuary of Manoppello there were other steps along our path to seek the Face of God. 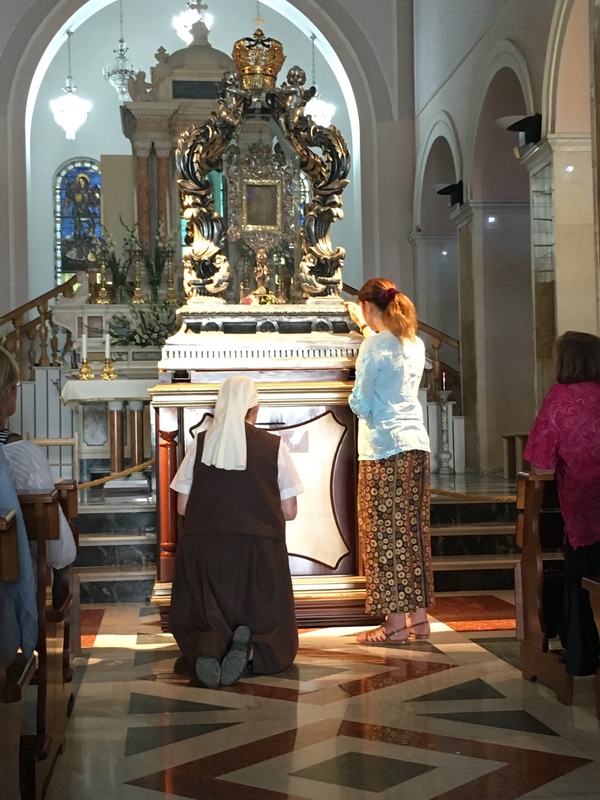 The next step was Loreto–entering the door of the Holy Home in Nazareth. 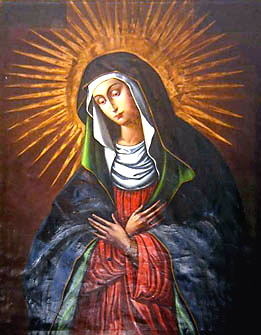 God himself chose Mary as the ark of His dwelling place, by the power of the Holy Spirit, in this home. Through Mary and the Holy Family we learn the examples of humility, obedience, and love. 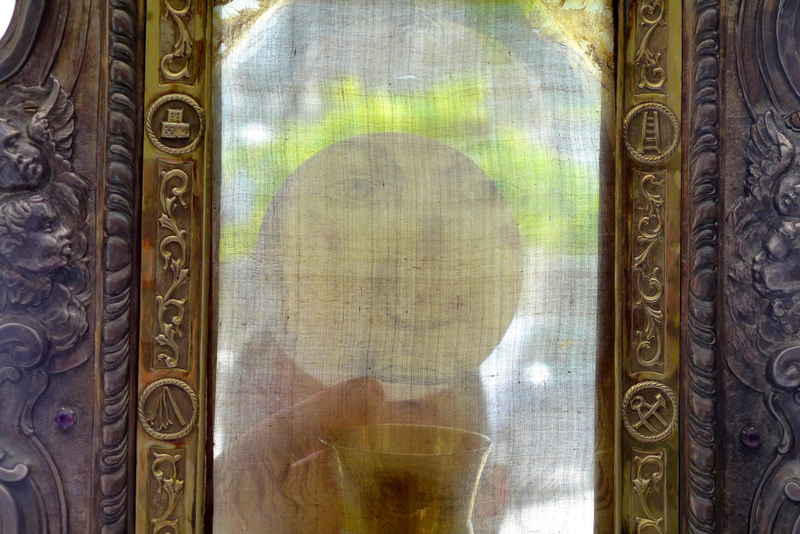 Here we saw the Face of Jesus in the Eucharist and in the sick and suffering. And lastly, Rome. Every year millions upon millions of people go to Rome just to get even a little glimpse of the pope. Most people consider those who actually have met the pope very fortunate. Why? After all, he is just a man like any other man, isn’t he? Well, yes and no. Yes, Jorge Bergolio is a man, but as Pope Francis he is the Vicar of Jesus Christ on earth, and, whoever sees Jesus, sees the Father. (Jn. 14:9) In a way, by seeking out the face of the pope, his words, and his blessing, we are seeking the Face of Our Father in Heaven. All mankind has been created in the image and likeness of God and we have a natural longing, therefore, to see His Face; to enter into relationship with Him. When the Word of God became man in Jesus Christ, at the Incarnation, what was previously impossible (to see God) became possible. In God’s infinite mercy He has not left us orphans; in and through Jesus He has given us His Church, His ministers, and His sacraments, so that is possible for us here on earth, albeit in an imperfect way, to see His Face. 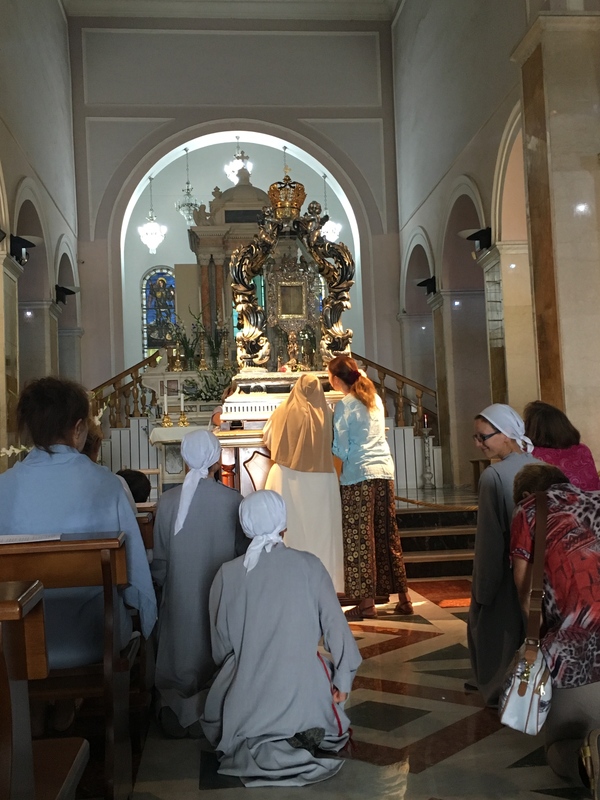 Our pilgrimage mirrored the journey of the Christian soul on earth: through Jesus Christ, in the Holy Spirit, with the help of the Blessed Virgin Mary and the Saints toward the Face of the Father. Our pilgrimage did not end in Rome, but begins anew each day. We continue to seek His Face by taking up our cross and following Him in the hope that finally one day we will have the joy of truly seeing Him as He is in eternal glory. 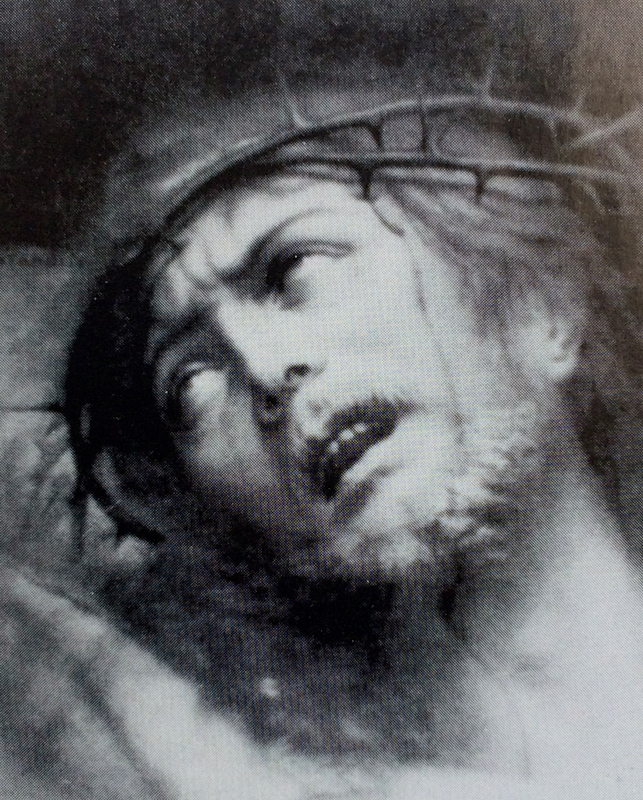 There are several important feasts of the Holy Face–Shrove Tuesday (the day preceding Ash Wednesday) and Good Friday are two, each focused on reparation to the Face of Christ. 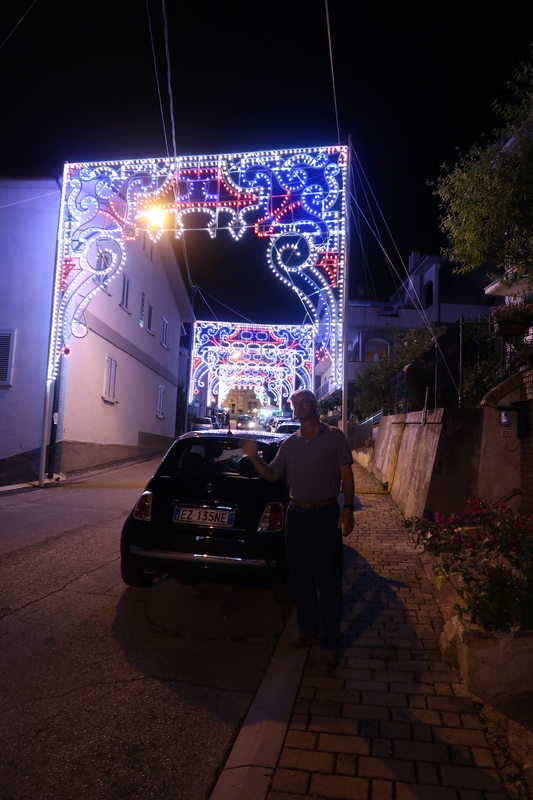 In Manoppello, the day the Holy Veil arrived in the hands of a mysterious stranger is celebrated as a joyful feast in May, as well as a celebration on August 6th, the feast of the Transfiguration. 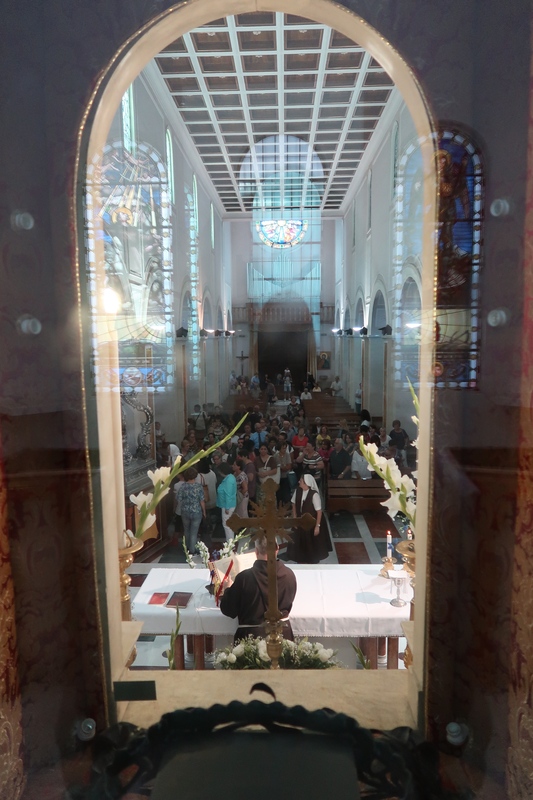 Being in Manoppello on the feast of the Transfiguration reminded me of an important event in the life of St. Therese. The day before the feast of the Transfiguration, a few weeks before her death, St. Therese of the Holy Face and the Child Jesus lay dying. 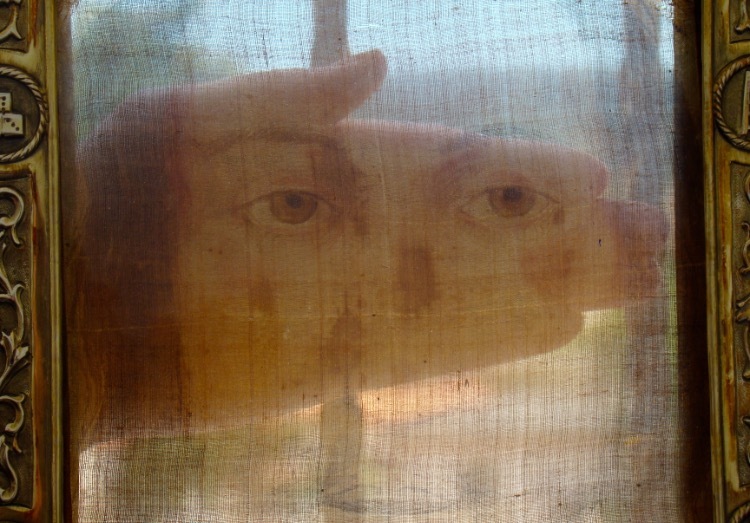 Her sisters brought her a picture of the Holy Face and placed it where she could see it, pinned to her bed curtains. 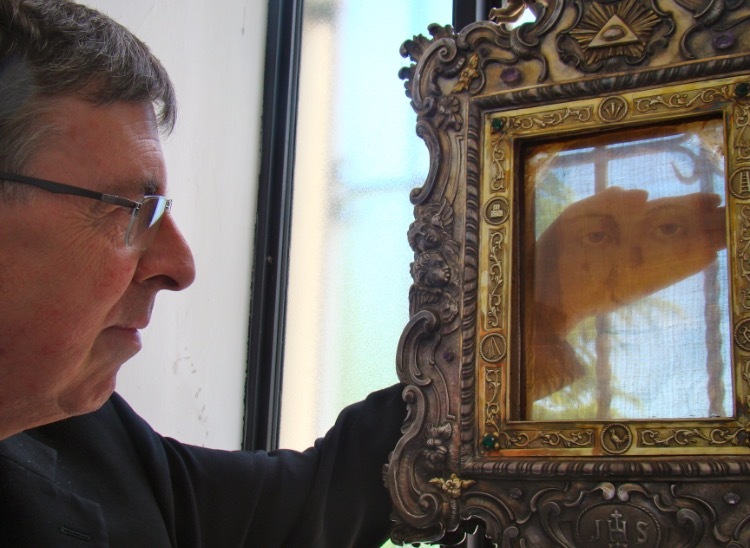 St. Therese exclaimed, “Oh, how much good that Holy Face has done me in my life!” The Transfiguration was always celebrated in the Lisieux Carmelite convent by honoring the Holy Face. 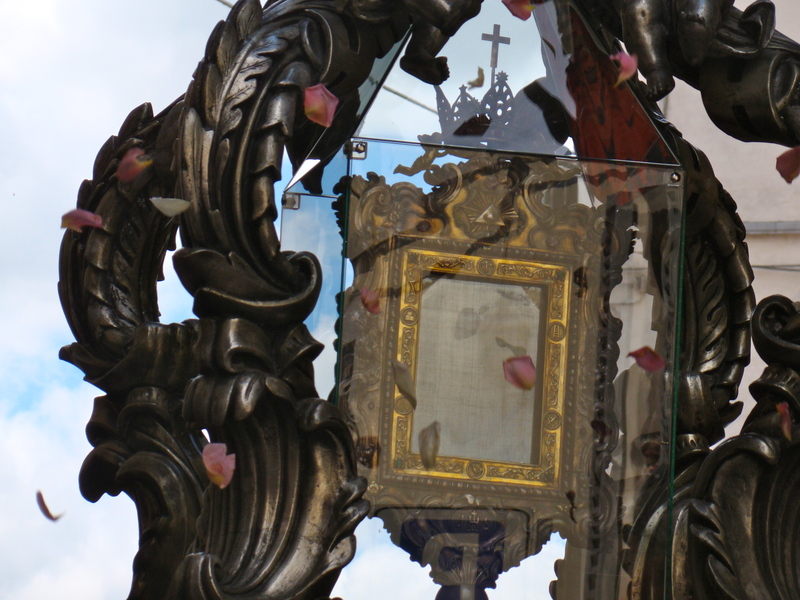 St. Therese had, on a previous feast of the Transfiguration, sprinkled the image with perfume and tossed rose petals before it. (I always wondered why Discalced Carmelite nuns had the perfume, but, after all, it was France!) It was on the Transfiguration that Therese, along with a few companions, made a solemn consecration to the Holy Face as an extension of their Oblation to His Merciful Love, desiring to be “Veronicas” by consoling Jesus in His Passion and offering souls to Him. The Transfiguration is always a preparation for the mystery of the Cross. 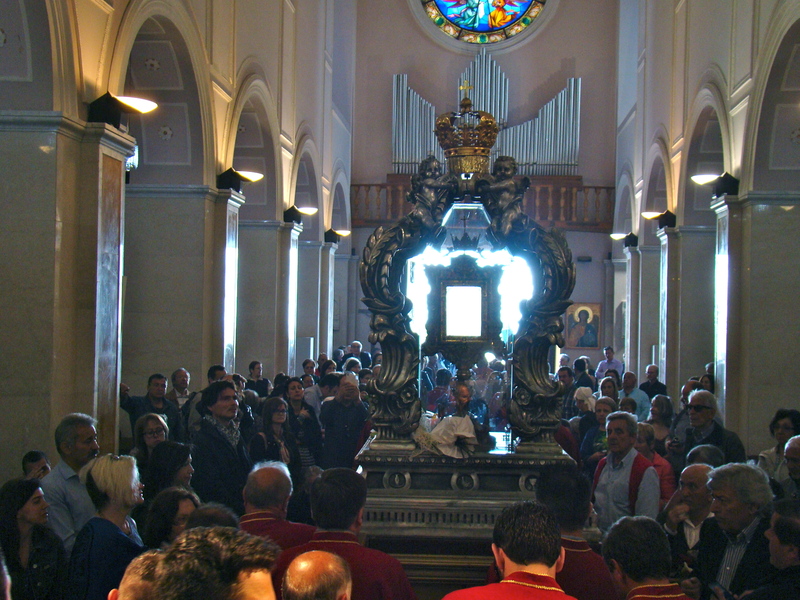 When we visited Manoppello, the blessed day of the Transfiguration was to be celebrated at the Sanctuary Basilica of the Holy Face by bringing the Veil in procession from the reliquary high above the altar to another in front of the altar where it could be viewed and venerated on all sides by the faithful. 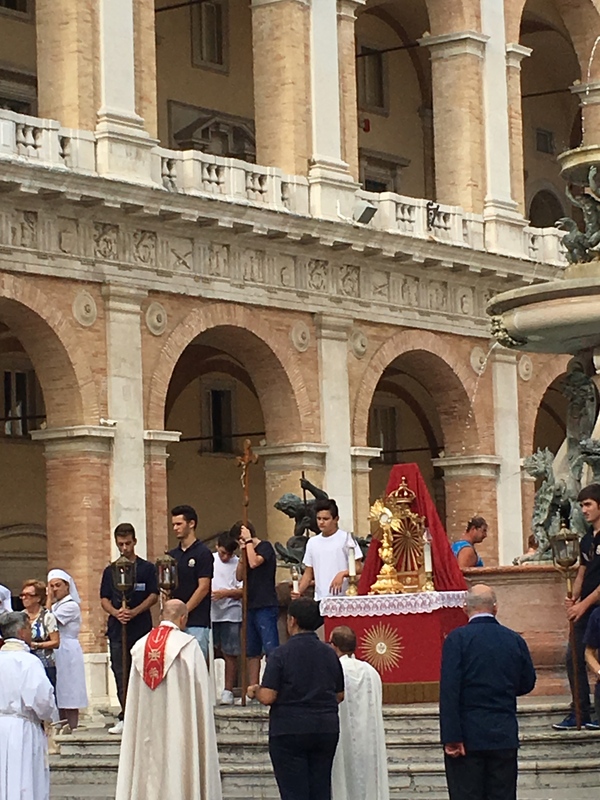 Music and celebrations were planned in the piazza for the day and in the evening there was to be a solemn procession through the lighted streets culminating with Benediction. 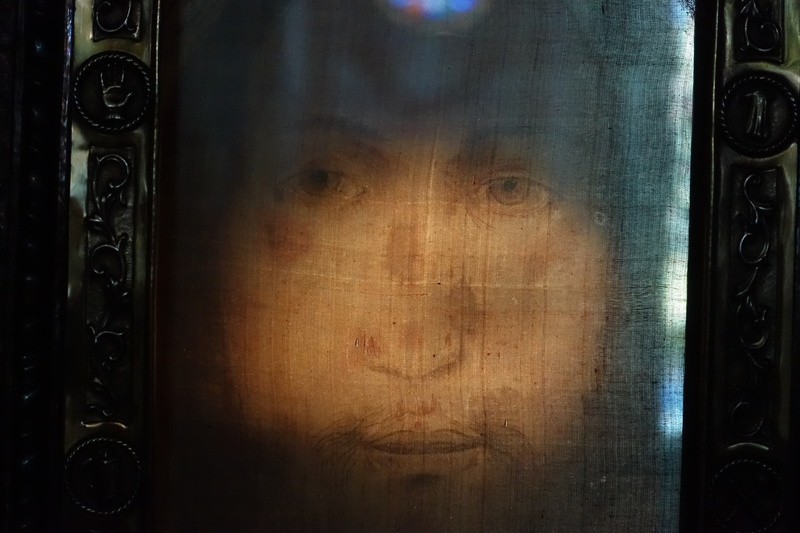 I had planned my pilgrimage around the feast of the Transfiguration after seeing Paul Badde‘s beautiful photos of the procession in honor of the Holy Face on Pentecost, May 15th. I had such a great longing to honor His Holy Face in this way by participating in a jubilant procession such as the one on Pentecost! 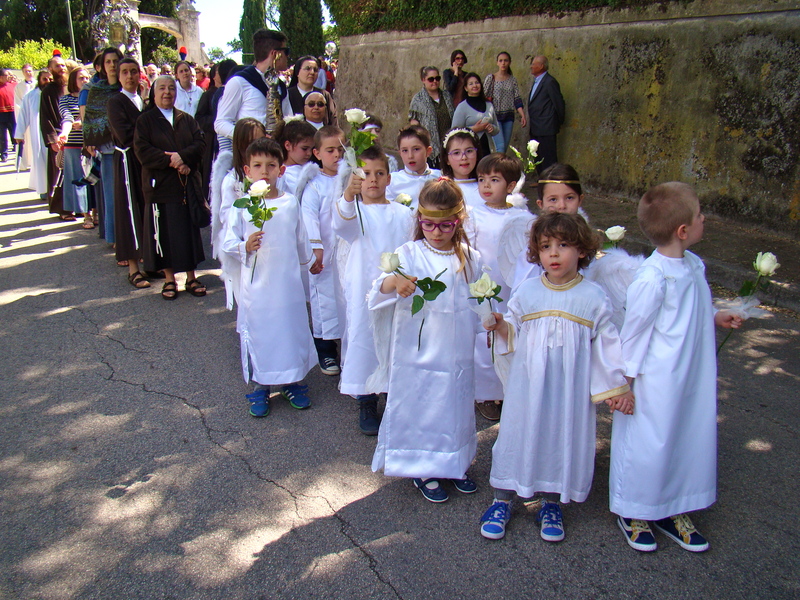 It was the whole impetus for my making the pilgrimage and I looked forward to the event with great joy and expectation. However, man’s plans are not God’s plans and “into every life a little rain must fall” and so it did. 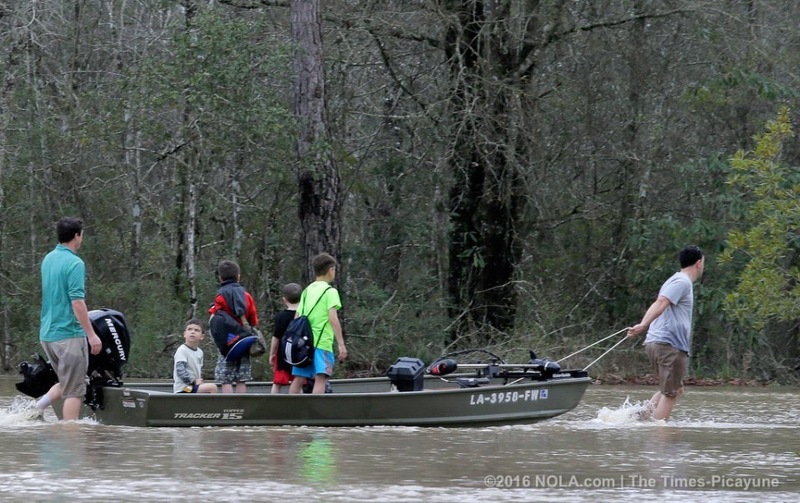 It rained, and it rained and it rained. Cats and dogs! The procession was cancelled, or rather post-poned till Sunday night when the weather was more favorable and when I would not be there. 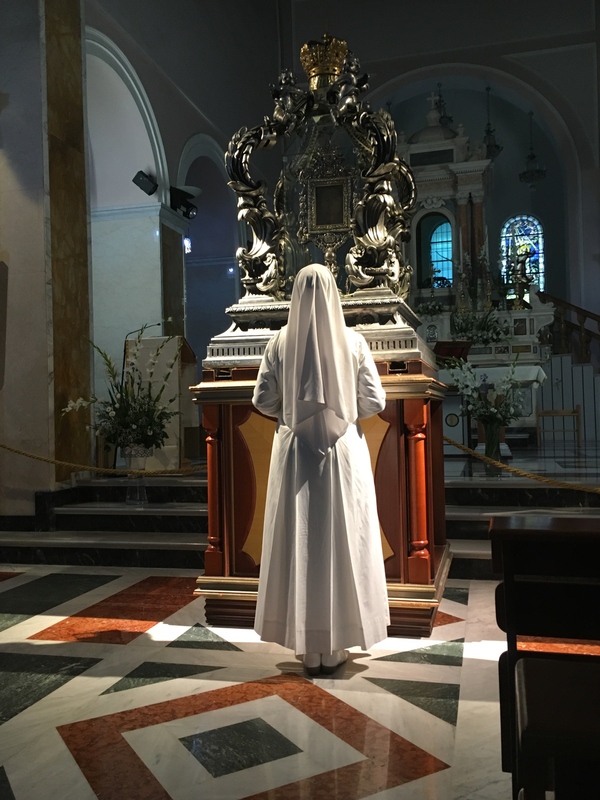 I can attest to the truth of what Sr. Petra-Maria said, “you must become like little children.” Back in 2012, when I first climbed the stairs and stood high behind the altar to view the Veil, the Face of Jesus appeared, bruised, bloodied, swollen. I could see the marks from thorns, the torn beard, His eyes peaceful yet filled with tears. I then knelt down in prayer and sorrow. 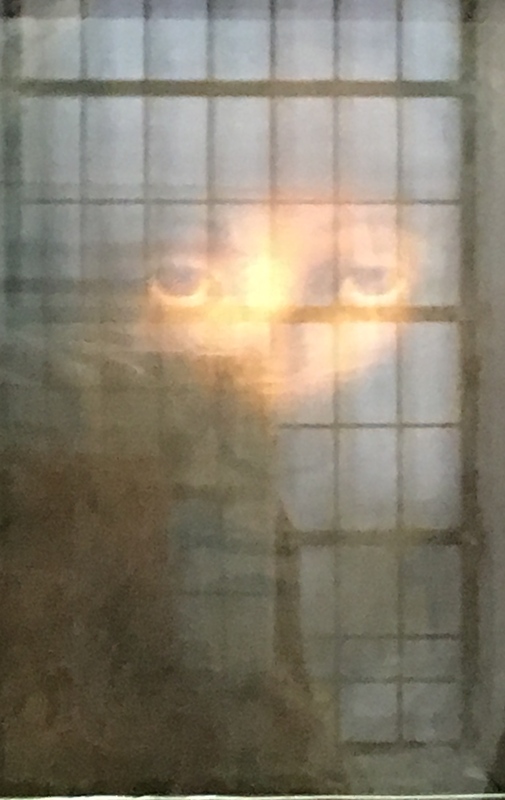 From this angle, the perspective of a little child, I saw the Holy Face anew, no longer bloodied and bruised, but as though a living reflection in a mirror, and once held in that Gaze my heart has been captivated by it ever since. It is the Face of Mercy! Gazing at the Face of her Spouse in faith and love. 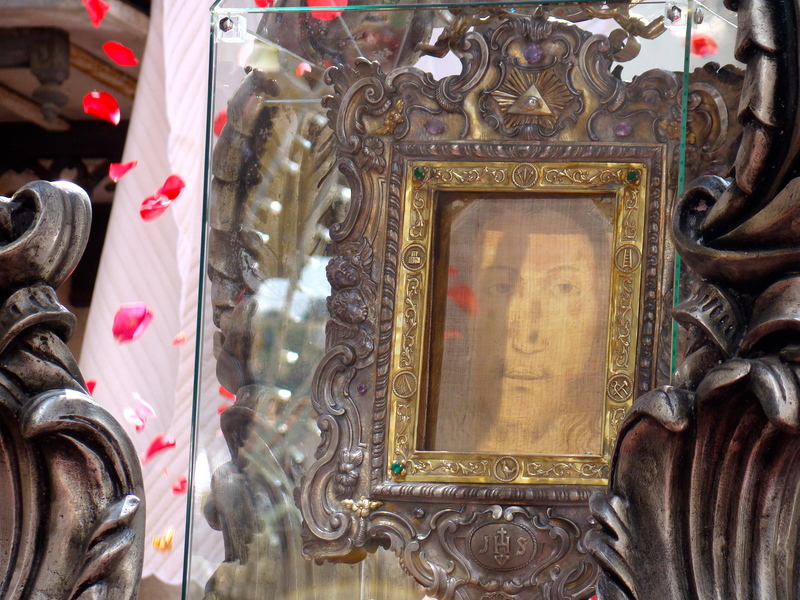 Journalist Paul Badde has generously shared these beautiful photos of “Il Volto Santo” the Holy Face of Manoppello, Italy, taken on the 15th of May for the great Feast of Pentecost. 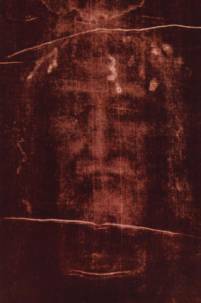 The photo images of the miraculous veil capture so well the changeability and infinite beauty, mercy and peace found by gazing on the Holy Face. 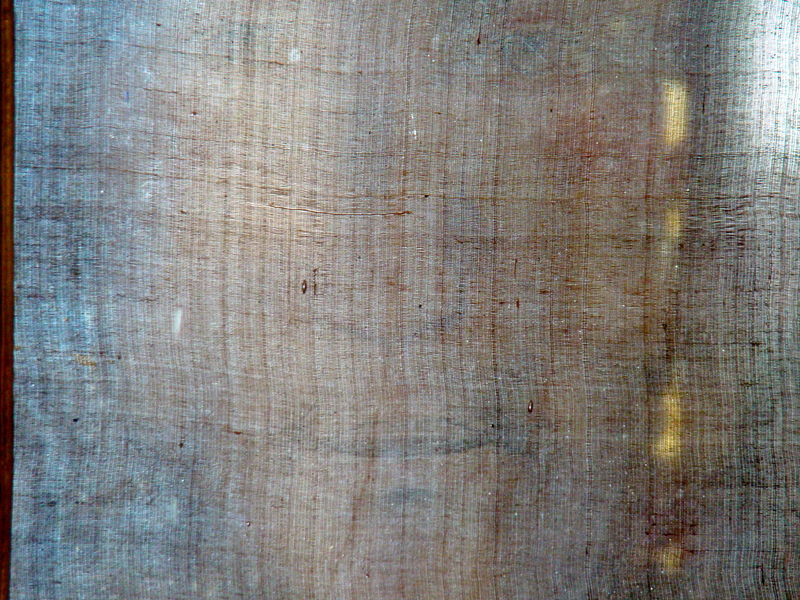 The gossamer-thin byssus veil is not painted but seems to be “written by the Holy Spirit” as an icon in light, which according to the light, may be clearly seen with blood and wounds, or as fresh and healed, or disappear. 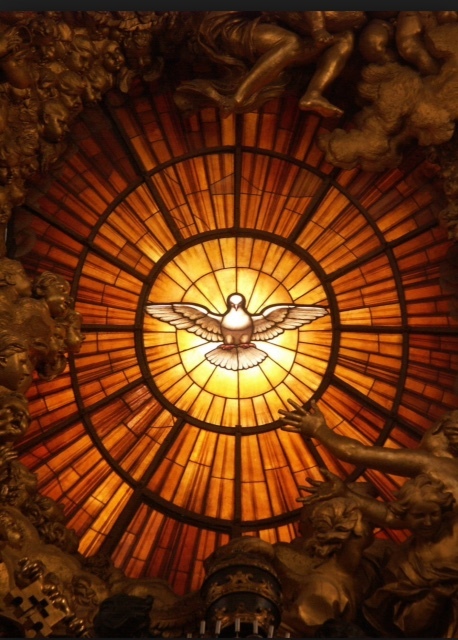 As Pope Emeritus Benedict XVI has said, “Faith is seeing and hearing.” May those who contemplate His Holy Face, like St. Peter and St. John in the tomb on Easter, “see and believe,” and as we gaze upon His Face may we be attentive as well to hear the voice of the Holy Spirit in our hearts, who will lead us through Jesus to the Merciful Face of the Father. 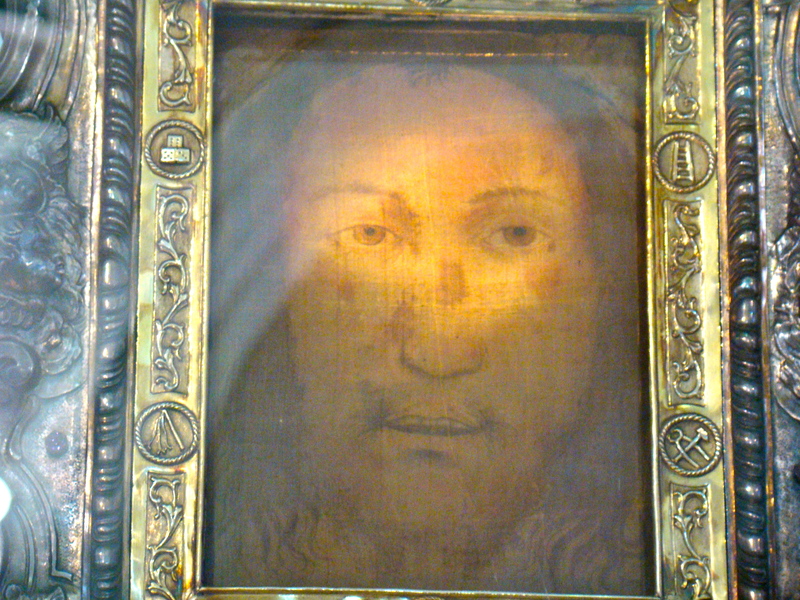 A “Must Read” on the Holy Face: There is an excellent post “More than an Abstraction,” the text from a conference given by Fr. Daren Zehnle. 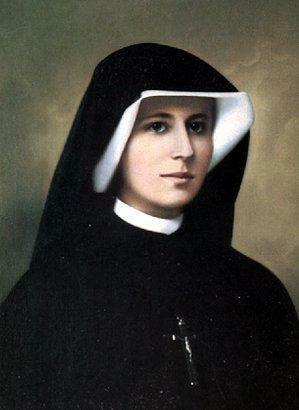 It is a very clear, well-documented and informative history of “The Veronica,” and the miraculous “Veil of Manoppello” in the context of the Jubilee Year of Mercy.